Start by cutting the oranges in half and carefully scooping out the inside so you are left with something that resembles a bowl - it's important to not scrape too close to the edges as any tears or holes in the skin mean that the jelly won't hold. Add the sugar, water and lemon juice to a saucepan and dissolve over a low heat. 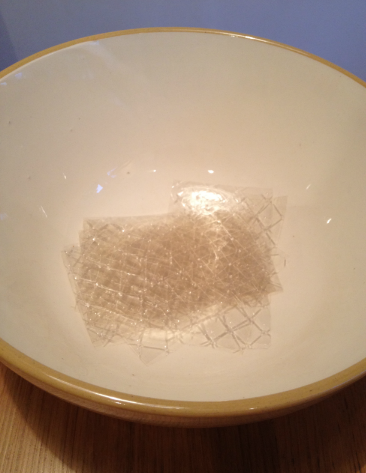 Tear the gelatin into small pieces and place in a large bowl, add enough cold water to cover the leaves then leave to soak for 5 minutes. Pour in the sugar mixture and stir until thoroughly dissolved. Add the Pimm's and lemonade..
..spoon into the oranges and refrigerate overnight. Either serve whole or cut into segments to eat like half-time oranges!